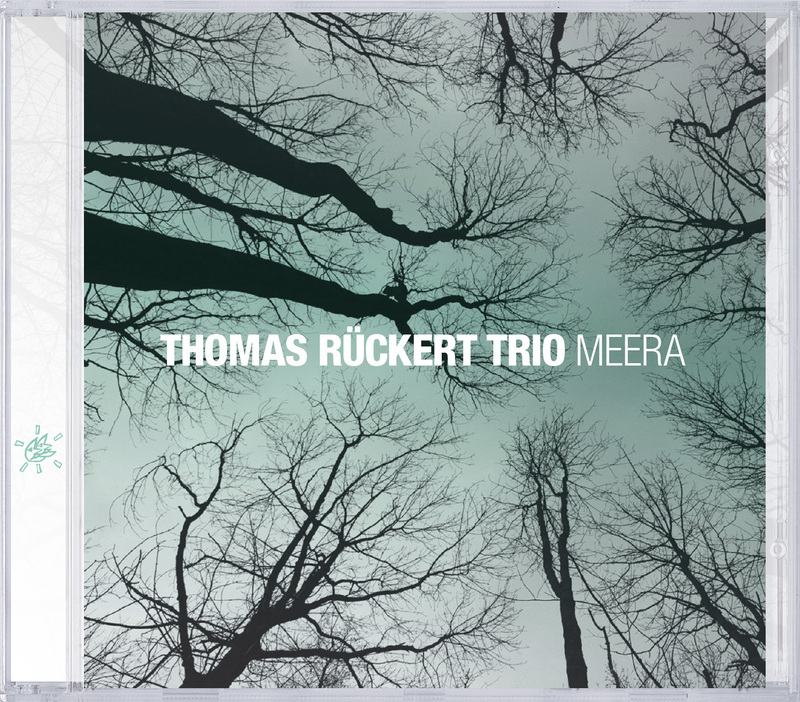 "Don't play what you know": this guiding principle by Lee Konitz is manifested clearly and comprehensively in the playing of the Thomas Rückert Trio – Thomas Rückert (p), Reza Askari (b) and Fabian Arends (dr). Individual notes peel off as if from a void, as times whirring and barely perceptible, then solidly anchored, but never overbearing. Accords sparingly woven in support the intimate, fragile melodies that flow from Thomas Rückert's fingers and take listeners into evocative landscapes of sound. Reza Askari's wood-warm double bass accompanies, joins into the melody in masterly way, corresponds with it and prances around it. The whole is based on the sensitive rhythmic background provided by Fabian Arends. In the same way as his trio companions, he knows how to create enthusiasm with his refined playing. The brushes rustle on the snare drum in all possible variations, the cymbals sparkle and radiate finesse with their daring rhythms, and the bass drum is also permitted to set an accent here and there. The way that he brings that into the playing characterized by strong communication and interaction is really impressive. Ballad-like chamber music jazz with strong European characteristics – romantic, full of melancholy and sensuality. The recordings range from a trio improvisation to individual compositions of the band members and all the way to pieces by Denny Zeitlin, Bill Evans and Skrjabin. What they make of known standards such as Harold Arlen's classic" "My Shining Hour" and Frederick Loewe's "I've Grown Accustomed To Her Face" is unusual and exciting. This is a trio with clearly noticeable individual characteristics, which goes its way and does justice to its lofty goals. The sound was recorded very realistically by the sound master Christian Heck in Cologne in January 2013. It is a feast for lovers of sounds, expansive and full of depth. ""A CD with all 'ballads' which form a balanced unit""
"The varieties of forms of expressions Rückert sets in this programme of original compositions and standards is fascinating."